I’m sure that’s just how some caterpillars feel, under-appreciated at best, reviled by many a homeowner at worst. 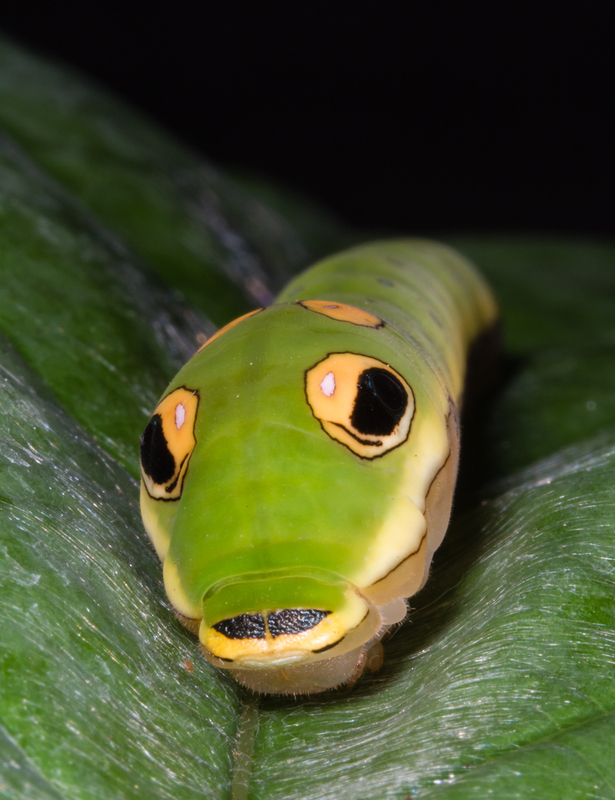 Caterpillars are often seen as those critters that “eat my plants” without the person making the connection to their necessity in order to have the beautiful butterflies (and moths) that visit our gardens and pollinate so many plants. 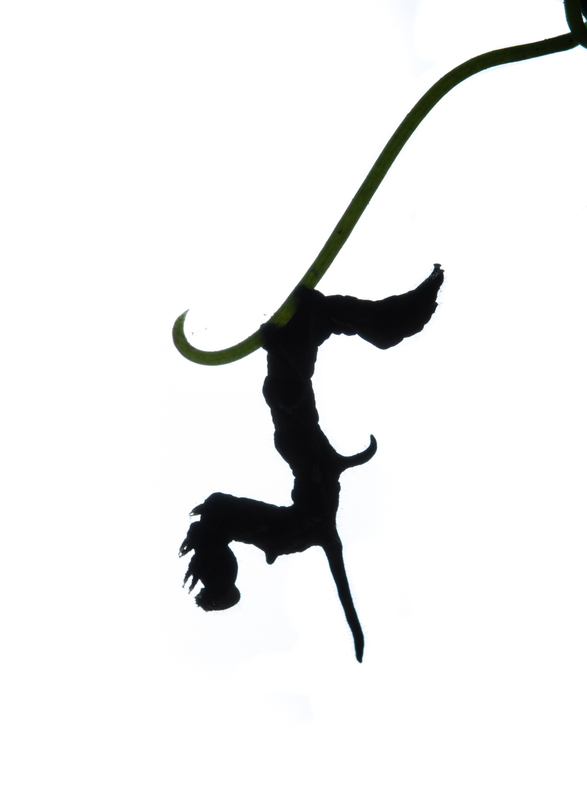 But I think caterpillars are just as beautiful as their adult forms and here are a few images that I hope will convince you of that as well. By moving my light source around using my macro twin lights, I can get dramatically different results. By placing a white piece of foam core as a backdrop, you can highlight the outline. Some species have a translucent quality when light is shined on them from behind or the side. 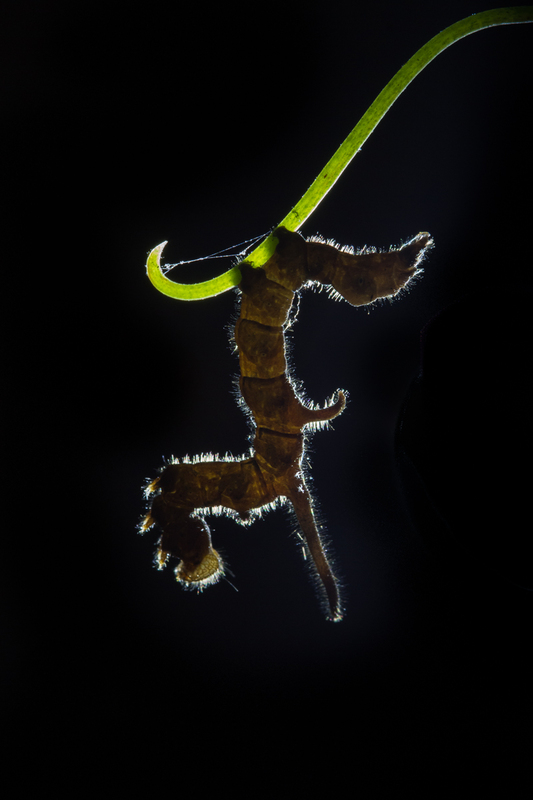 A close up shot often reveals beautiful combinations of the larva and its plant. 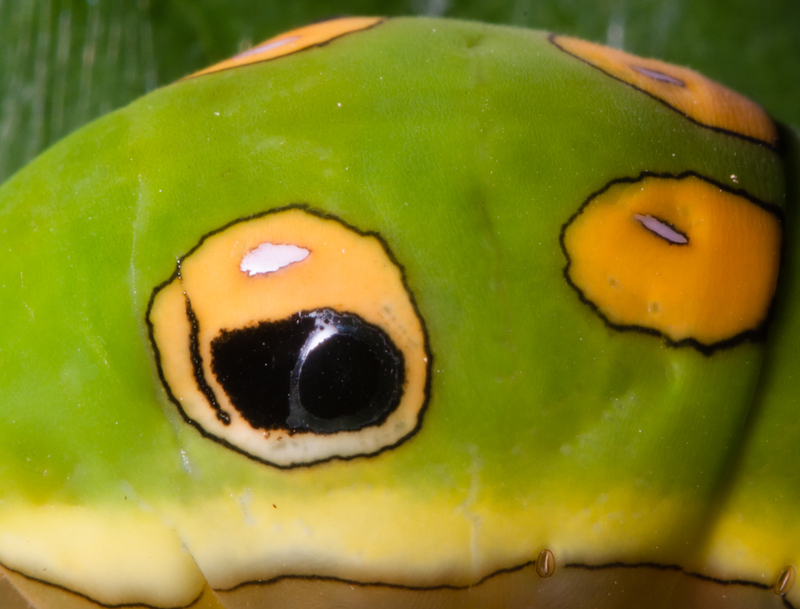 And the winner in the make-up artist category is….the Spicebush Swallowtail. This is one caterpillar that looks like an artist painted it with bright colors and patterns. It hides in a leaf shelter pulled together by stretching silk across the leaf. Then it tucks its real head and arches making the fake eyes more pronounced to discourage predators. The level of artistic detail on the fake eye is what amazes me – there is a light spot that makes the “eye” seem moist, heightening the illusion. So, get outside this weekend and take a moment to look closely and appreciate the wonder and diversity that surrounds us. 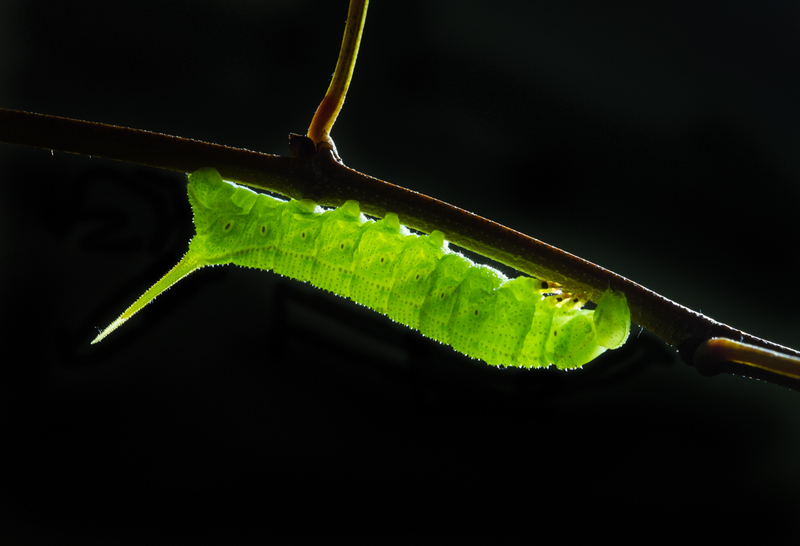 Take a moment to sit with a caterpillar and admire it. Prepare to be amazed. 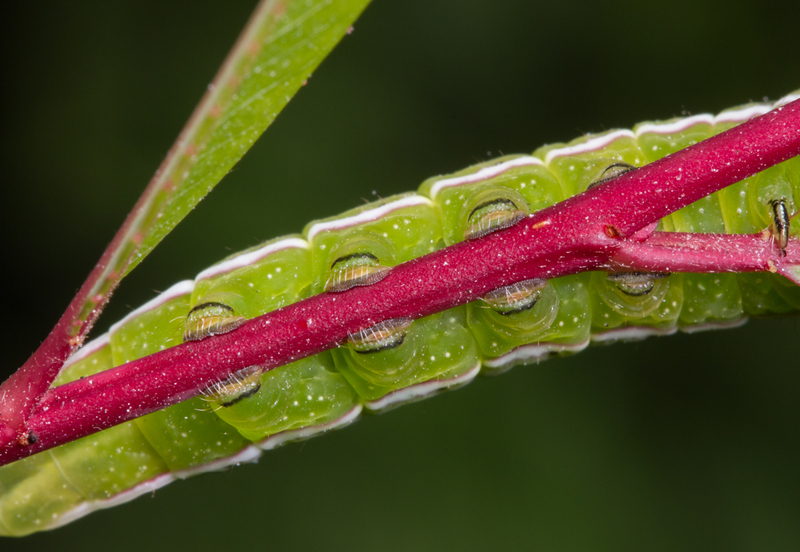 This entry was posted in Nature Photography and tagged caterpillars by roadsendnaturalist. Bookmark the permalink. Awesome photos of the caterpillars. Clear and colorful. Wonderful photography, Mike! I am thoroughly enjoying your posts. Thank you so much for your continued dedication to environmental awareness. Thanks, Linda. Hope all is well with you.